The toddlers still held enough innocence to believe the white dust was snow, but Sasha knew too well the stinging scent of a forest fire. 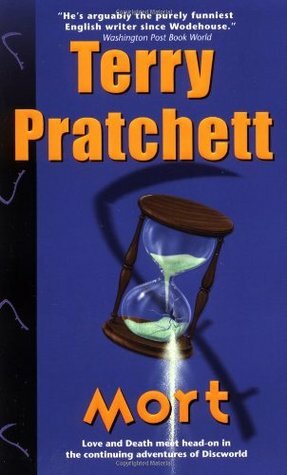 For today’s Book Beginnings and Friday 56, I thought I’d pull from Mort, my favorite Terry Pratchett novel (so far). I wanted to do a Terry Pratchett book since I noticed during a trip to Barnes & Noble that Good Omens (written by Terry Pratchett and Neil Gaiman) was organized under ‘G’ rather than ‘P’. Tsch. This is the bright candlelit room where the life-timers are stored – shelf upon shelf of them, squat hourglasses, one for every living person, pouring their fine sand from the future into the past. (I’m cheating on this a little, choosing several lines from across page 56, to better show case Pratchett’s humor and wit). “You’re a thief?” said the father. “A murderer? To creep in thus, are you a tax-gatherer?” His hand slipped under the table and came up holding a meat cleaver honed to paper thinness. His wife screamed and dropped the plate and clutched the youngest children to her. The blog Bibliokept regularly posts interesting pictures that I want to use as creative writing prompts. The most recent photo was so bizarre and evocative that I couldn’t pass on writing at least something inspired by it. The story I came up with is, I think, appropriately weird. “Can Not Prevent It, but There is No Need to Prevent It” by Ryohei Hase. The weather report flickered out of the holo-projector. Seven-eight percent chance of acid raid this evening. How did the weather forecasters decide on that precise number? Why not round up to an even eighty percent? Would the clouds really mind if we expected just a dash more toxicity to spill from their bowels? “Don’t forget your umbrella,” she said to no one in particular as she glanced out the parlor window. The sky choked with the black fumes of the refinery. Fine may have been in its name, but living so close to the beast was anything but. Every day was an umbrella day. Every day was a day for face masks and very long baths with soap that never quite removed all of the chemical residue omnipresent in the air. She stepped out of her house, opening the black umbrella to the thick smog. She wondered how much more of this she could take. Much as she wanted to leave the city, anywhere that was once worth moving to now sat under the ever expanding seas. It’s amazing how tropical the climate can get when the heat of industry is forever trapped by its black cloud bi-products. Hover cars stood abandoned along the road she walked to work. The asphalt had long been broken by crabgrass and tree roots as the cars took to the skies. With their solar cells now impossible to charge under the eternal cloud cover and gasoline a thing of myth, most found it easier to just walk. She adjusted her face mask as she passed the rusted out hull of her own craft. The solar cells hover cars were such a fabulous idea but in the end they, like everything else, were too little too late. She heard the hissing of the acid rain before anything else. As the droplets pattered from the dark sky, they bit at the fabric of her umbrella. She realized far too late she’d grabbed the wrong one. Why did she even bother keeping her fabric umbrella when metal was the only thing that was truly protective these days? Her carelessness would be her downfall. She looked back to her apartment. Too far to walk without scarring damage. Her umbrella was being eaten away above her. She sighed and tilted the umbrella back. The acid didn’t feel as she anticipated. She expected pain and torture. As the droplets hit her face and burned the mask, she felt…freedom. At last, the gas released from the burn of her umbrella ignited. A plume of fire engulfed her face. She stood by the abandoned hover cars and waited for the flames to overtake her body and for the smoke could carry her conscious away. At last, she could leave. I can’t remember how I found out about MMSG, but I’m glad I did. This story follows Bianca, a sixteen-year-old who’s inherited a curse placed by the diabolical Miss Mabel. Since someone thought it would be a good idea to give Miss Mabel a school of girls to watch over, Bianca has to go to that school and confront Miss Mabel in order to have the curse removed and save her life as well as the lives of her mother and grandmother. As I read, I was actively aware of how solidly this story was paced. It felt like a well-oiled machine. Part of that probably stemmed from Bianca having a plan (sort of) for getting her curse removed, so the beginning of this story in large part followed that plan. There aren’t a lot of “extra” scenes. There are points where Bianca spends time with her school friends but many/most of those conversations still contribute to Bianca’s quest for curse-freedom. The friendship scenes were also quick and nicely spaced, so they gave me some breather room between the more dramatic scenes. With the story set at a school for magic, it would be temping to look for comparisons to Harry Potter. As I was reading, I actually kept thinking about the movies The Worst Witch and The Witches ( I have not read either of those books, so I can’t say how similar they are to MMSG), which worked out in the book’s favor because I loved both movies as a kid. Side note: If you want to see some fabulous ’90’s CGI, the full movie of The Worst Witch is on Youtube. A final thing I loved was all the Girl Power™. No silly, forced love-triangles in this book. In fact, there are barely any guys period. It’s all about the ladies solving their problems (or making them worse) for themselves. While Bianca’s a bit of a poor planner, she’s a force to be reckoned with. Her two main friends were also interesting characters who I hope continue to develop in the future books. They’ve got a fiestiness I like. And of course, there’s Miss Mabel, so strong and yet so evil. I’m a little conflicted about the Bianca-Miss Mabel dynamic. It’s established from page one that Miss Mabel is a terrible person who shouldn’t be trusted. However, there are many points where she ends up helping Bianca become stronger. So I kept thinking, “Wait… is she evil? Is she training Bianca to become her evil sidekick? Is she not evil at all and Bianca’s just an unreliable narrator? What does evil mean anyway?” Pretty sure I over-thought it, but I’m curious to see how this dynamic develops over the other books as well. Honestly, I can’t think of anything I didn’t like in this book. The one thing I might have liked to see more of was world-building. The story is set in a land called Antebellum that is organized into five networks (countries, I suppose). The geography and history that’s necessary to understand the plot is covered, so I didn’t feel like anything was left out. But the story was very focused on the school that not much was shown of the rest of Antebellum or how things work there. One line in particular stood out to me, about how non-magical mortals had moved out of Antebellum to get away from the witches. That left about a million questions in my mind: Where did they go? Where are they now? Why flee the witches, were they slaves or something? What’s outside of Antebellum (I pictured it as an island continent)? Etc. I assume there will be more world-building in the future books, and if all of my world questions are answered then I’ll be satisfied. All in all, I give Miss Mabel’s School for Girls 4 out of 5 stars. 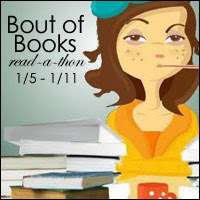 Today’s prompt makes me glad I started a GoodReads account at the start of the year. Also, I feel like my book reading lists are heavily overlapping… I’ll need to read more in 2015. Joseph Gordon-Levitt. In January, I read his Tiny Book of Tiny Stories series. They were delightfully petite. Robert Galbraith. Yes, I know that “Robert” is only new to people who have been living under a rock since 2003. I’m putting this author on here to protest people revealing the identities behind pen name. I read The Cuckoo’s Calling in January, and have been waiting to read the sequel. Erin Morgenstern. My review of The Night Circus is here. I look forward to reading more from her. Anne Zoelle. My review of The Awakening of Ren Crown is here. Although not without flaws, the story kept me interested enough to look forward to its sequel in 2015. Katie Cross. 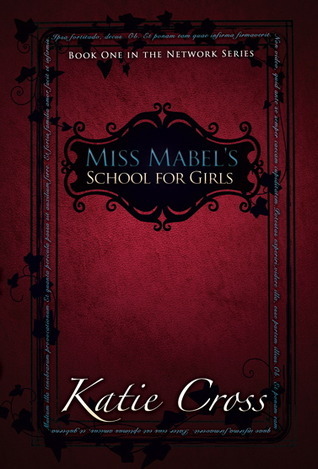 I’ll be posting my review of Miss Mabel’s School for Girls tomorrow. No spoilers on how I’ll rate it or anything, but I’ll be reading the sequel in 2015. Magnus Flyte. My review of City of Dark Magic is here. I’ve got its sequel, City of Lost Dreams, on my bookshelf and its awaiting my read in 2015. Gail Carriger. I started her Parasol Protectorate series this year. Aiming to finish it in 2015. Cherie Priest. I also started The Clockwork Century series, because apparently 2014 was the year I discovered (in a non-Columbusing sense) steampunk. Rachel Carson. After years of wanting to, I finally read Silent Spring, about the overuse/abuse of pesticides in America post-WWII to the 1960’s and its possible long term repercussions. DUDE. She was clairvoyant. Irvin Yalom. I read his Theory and Practice of Group Therapy for a grad class. It’s basically the Bible of group therapy. Also, more people should participate in group therapy. As he stared through the balcony bars at the city’s empty night sky, he wondered if she could see stars through her prison cell window.